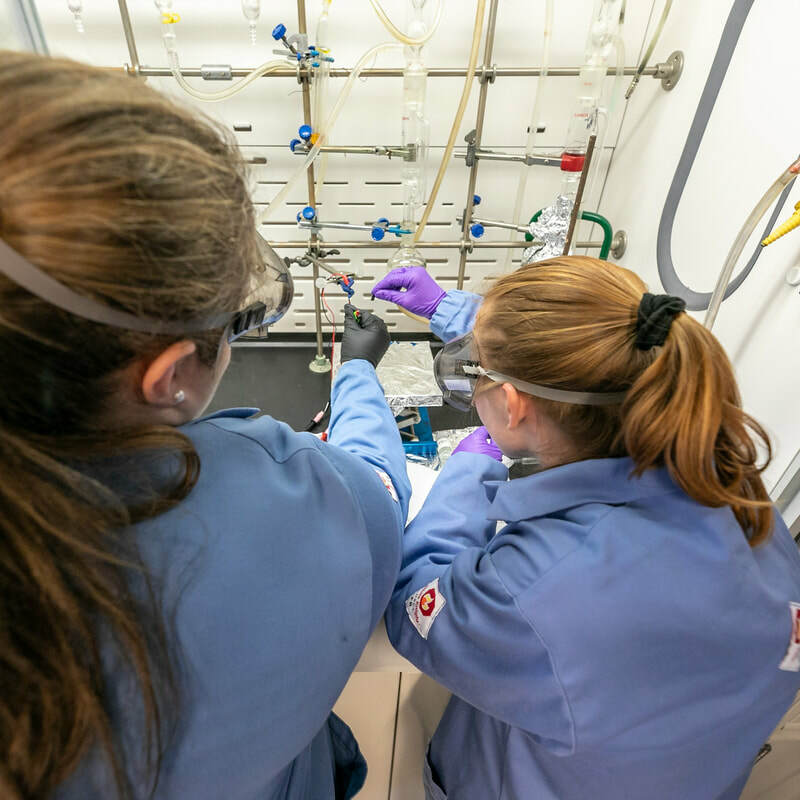 Our group is committed to providing research opportunities to high school students in our laboratory at Dartmouth. We maintain close connections with the Upward Bound program, which is a federally funded program sponsored by the U.S. department of Education that provides opportunities to disadvantaged high school students to succeed in their pre-college performance and ultimately in their higher education pursuits. 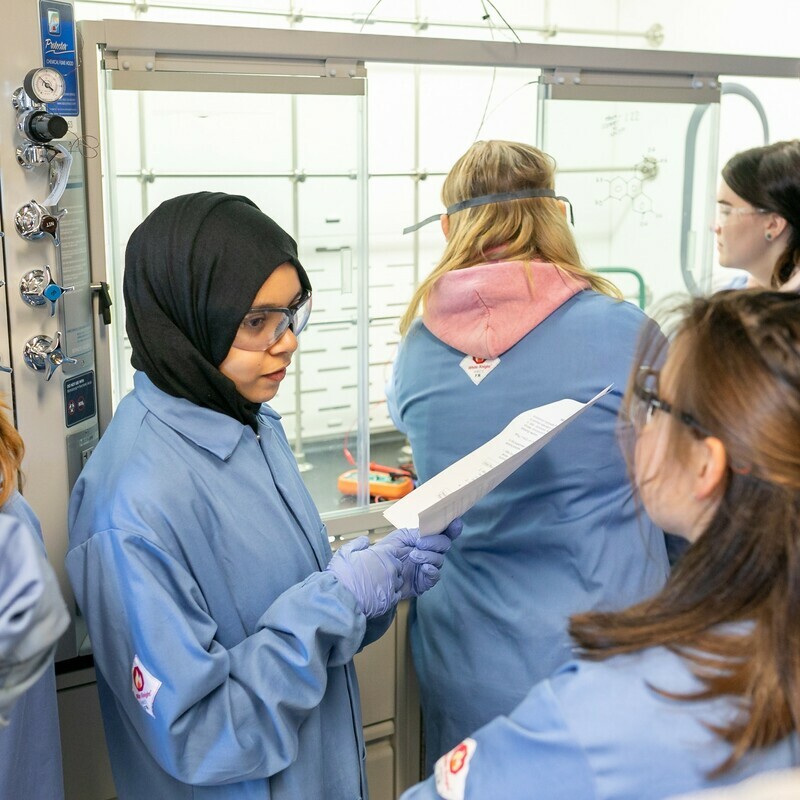 ​See some highlights of our selected outreach events below! 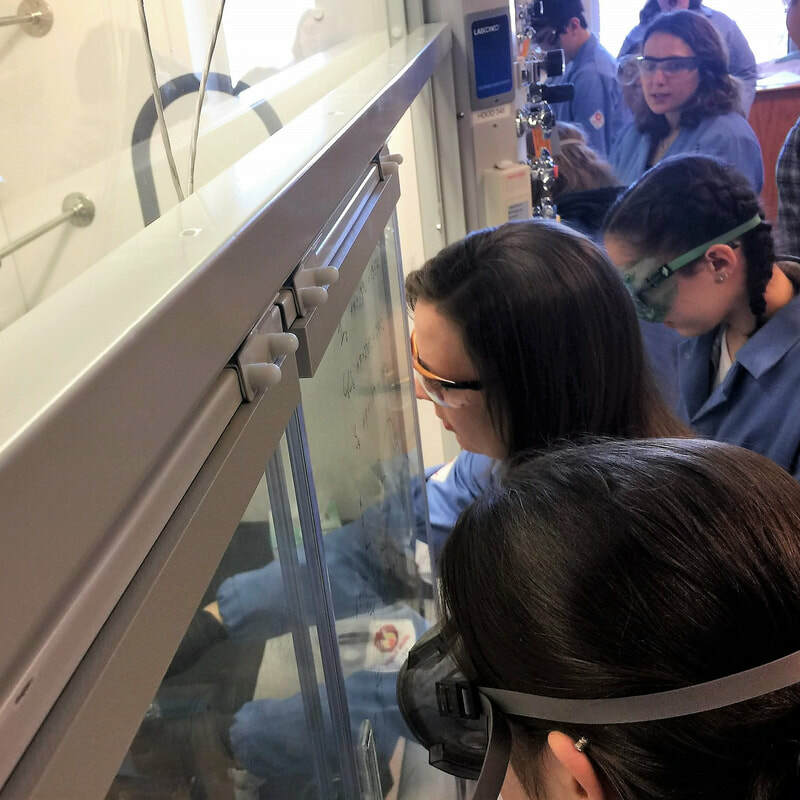 February 8, 2019: Great outreach event today with Upward Bound high school students who visited our lab from Vermont and NY! Our group had fun sharing our enthusiasm for chemical sensing and metal-organic frameworks! 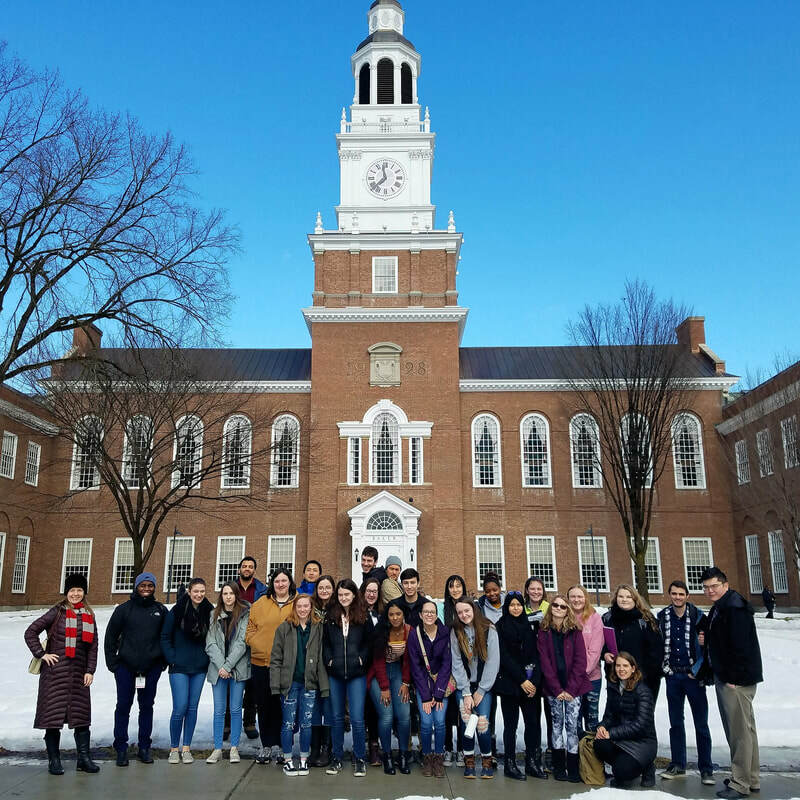 November 9, 2015: Upward Bound High School Students from Vermont Visit Dartmouth College. 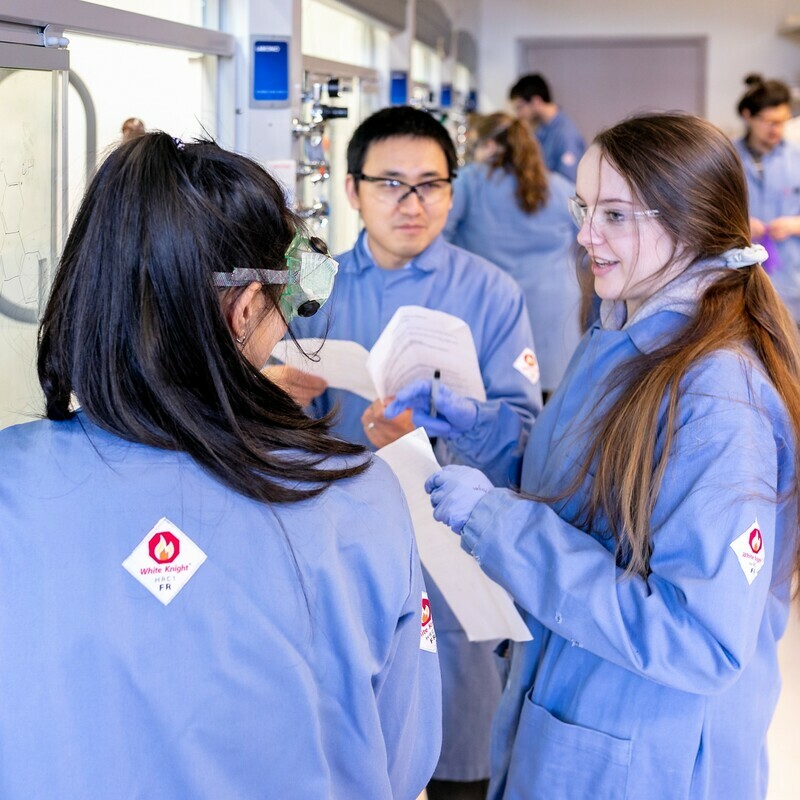 ​The Mirica Group designed and organized the visit to give the students an idea of what it is like to be a research scientist. 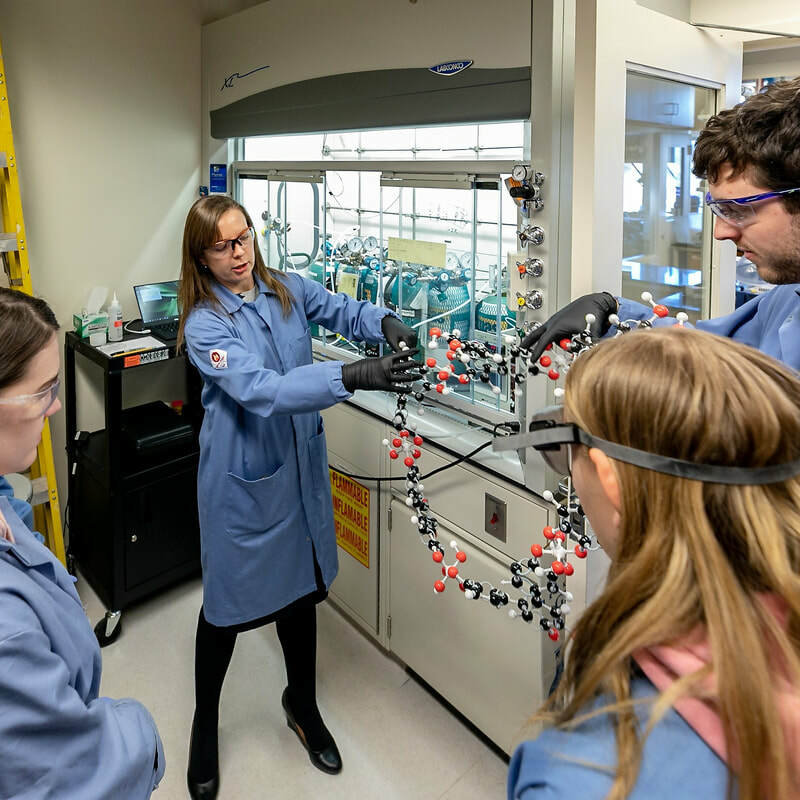 The visit included the tour of the NMR facility, tour of the roof-top green house, lunch with current Dartmouth students, and a lab activity on making chemical sensors from carbon nanomaterials by drawing!